Good evening everybody, hope you’re having an honest day and straight away, we are going to try and create it rather more entertaining and pleasant. 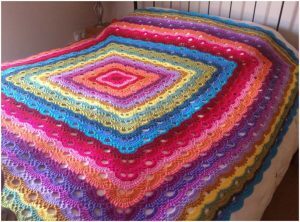 Among an uncountable number of lovely crocheted blankets there seems to be one with such a graceful look as this rectangle virus blanket. 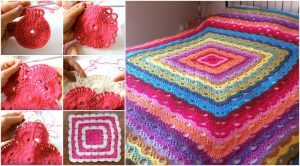 it’s a really elegant and fascinating project for those who love creating blankets and afghans. Follow the directions very carefully and you’ll be able to make at least one virus blanket. Enjoy with us!